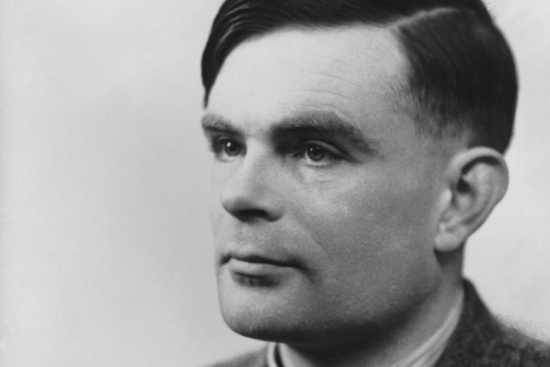 The government has said it will support Lord Sharkey’s bill aimed at giving a posthumous statutory pardon to Alan Turing for an offence under section 11 of the Criminal Law Amendment Act 1885. Here’s a transcript of Friday’s second reading debate in the House of Lords. And here’s the bill. I need say nothing about Turing’s achievements and greatness, which are beyond dispute. He was treated with disgraceful cruelty and ingratitude by this country, and in particular by its law and criminal justice system, when he was convicted and sentenced for that offence, after which he took his own life. But I’m opposed to this bill and this pardon. Clause 1(2) is worth noticing. It may surprise some, but the pardon does not affect any conviction – not even Turing’s. So his conviction will not be quashed or disregarded. The effect of a free pardon is such as, in the words of the pardon itself, to remove from the subject of the pardon, all pains, penalties and punishments whatsoever that from the same conviction may ensue, but not to eliminate the conviction itself. The bills aims merely to replicate by statute the effect of a prerogative full pardon: to grant Alan Turing mercy for the offence he committed. It does so because of the government’s refusal so far to advise a prerogative pardon, which is reserved for miscarriage of justice cases – the person in question must be “morally and technically innocent” of their offence in order to qualify. And it’s clearly modelled on section 359 of the Armed Forces Act 2006, which granted a statutory pardon for servicemen executed for various offences during the first world war. There was a good reason why the Armed Forces Act pardon was a statutory one: that meant it wasn’t necessary for individual cases to be considered on their merits, which might not have been possible so long after the event. And a principled decision to pardon an entire class of people was arguably more like lawmaking than granting individual mercy, so it was right that it was debated openly in Parliament. It may, though, have signalled the beginning of a gradual move away from use of the prerogative of mercy towards an expectation that pardons be given by statute. But once Parliament decides it should act, there’s no reason for it to feel bound by the limitations of prerogative powers. Parliament is sovereign. If MPs and peers want, by Act of Parliament, to disregard Alan Turing’s conviction, they can do so. So why don’t they? They’ve done something similar for those convicted of similar offences who are still living, in sections 92 to 101 of the Protection of Freedoms Act 2012, which allows them to apply to the government to have a conviction disregarded. I don’t say this approach would work for Alan Turing (or anyone else now dead who was convicted of a similar offence). The main practical effects of disregard for those living is that their criminal records are altered retrospectively, and they have no need to disclose the disregarded conviction in future. Nonetheless, section 96 of the 2012 Act provides that a person whose application for disregard succeeds is to be treated for all purposes in law as if they not committed the offence or been charged with it, or prosecuted, convicted or sentenced for it. So I wonder why peers and the government don’t want the same for Alan Turing. Parliament can, if it likes, retrospectively repeal the legislation under which he was convicted, and make everything done under it a legal nullity (if need be making clear that no legal action can now be taken against anyone for anything they did under it). Of course that would be an attempt to rewrite the past, something that can’t really be done, even by Parliament. One thing is sure: whatever apology is made (Gordon Brown apologised for what happened to Turing in 2009) and whatever law may be passed, nothing can be changed for Alan Turing. That, indeed, is the cruel truth about this sad story, and one which we have to face: the law’s treatment of Alan Turing cannot be undone. I agree with Ben Summerskill that the pardon is pointless. Peers and the government just want to do something symbolic. But who benefits from the symbolism? Not Alan Turing. This pardon, well-intentioned though it undoubtedly is, is not only pointless but self-indulgent. It would make only us only feel that we’re relieved of the burden of the past. Turing’s own reputation is assured but, as British citizens, surely we should do all that we can to erase the stain on the reputation of our own criminal justice system. He’s right in more than one way, but wrong in his conclusion. History and social change has undone any damage to Turing’s reputation done by our law in the 1950s. The stain is not on him but, as Lord Rees says, on the law, on our system of justice, and on those who made it what it was – including not just the police and judges but Parliament itself. So what does it mean to try to erase that stain? It never can be erased, and never should be. This brings to mind the Ministry of Truth in George Orwell’s Nineteen Eighty-Four where historical revisionism is carried out on an industrial scale. Just as people were once executed or transported for stealing a sheep, so Turing’s conviction is a relic of an earlier time and no attempt to airbrush it out of history is truly possible. It is worth remembering that homosexuality was once regarded much as we regard paedophilia today. Who will be the next for this treatment – Oscar Wilde? This pardon is somewhat like the Rehabilitation of Offenders Act 1974: a superficial sop which is, to a great extent, nullified by the Rehabilitation of Offenders Act 1974 (Exceptions) Order 1975 (as amended) in respect of a wide range of offices and occupations. Once again I find myself agreeing with Andy J. The past is the past. Whatever the 21st century might think of what happened to Turing (and it would be abhorrent today, and I would deplore it as much as the next sofa-lawyer), it seems he was convicted in accordance with law at the time. If this comes to pass, what next? It is an invitation for any single-interest group to pressure for their favourite ‘injustice’ to be righted. By the 21st century’s standards there are many, many, many injustices in English legal history that some would want to see righted in the past. Turing was a great man, who was treated very badly by the state he served so well. If he is to be pardoned by the state, it should be because he was treated very badly, not because he was great. His greatness attracts attention to the story, but it is not the reason he should be pardoned. If he is to be pardoned, then so should all others persecuted under the same reprehensible legislation. And some of them may still be alive. Powerful and moving piece of writing.